Sign up for Auto-Ship today, and save 10% on all of your auto-ship orders! From Tracy Doucet of Duncan, Oklahoma on 4/11/2018 . Absolute love this coffee! Worth every penny you spend! From Anonymous of Hickman , California on 3/4/2018 . 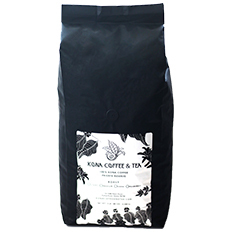 We started buying kona coffee and tea company, when it opened 20 years ago!! It's all I drink!!! Now the whole family is just as addicted!!!! From Michelle White of Anchroage, Alaska on 6/27/2017 . I use this when I want to add a little Hawaii to my morning. Takes me to the Kona sunshine every time. From Kevin Lincoln of Austin, Texas on 11/20/2010 . I am not a big coffee drinker, but the smell, and taste of Mocha Macnut is awesome! I hightly recommend it to any part time as well as serious coffee drinker! From Kelly Cox of Glendale, Arizona on 11/6/2010 . My husband and I came to Hawaii on are honeymoon 5 years ago and tried Kona coffee, we have been getting vacation vanilla sent to arizona where we live ever since. It's the best! 9/20/2018 – What ground is used for the flavored coffee? I use a French press and/or a percolator and don't want to order if it wouldn't work for either of those methods. 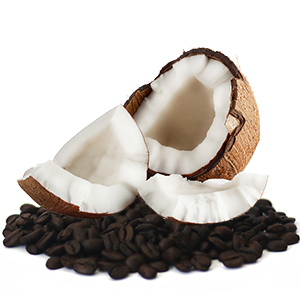 Response From Kona Coffee and Tea: The standard grind for flavored coffee is the drip grind. However we do welcome special requests. Just make a note in your order. Thank you for the question.